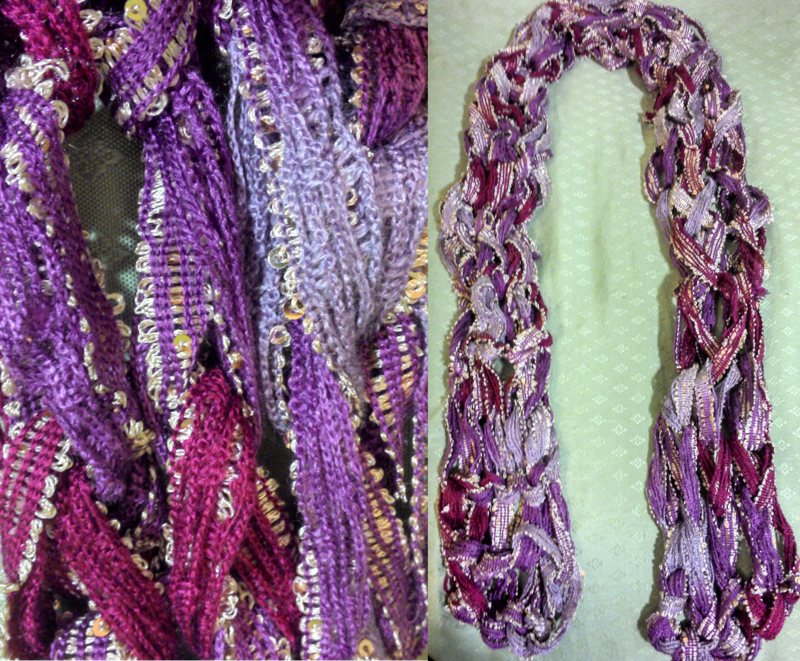 The Dark Fuschia, Mauve, and Royal Purple colors of this arm-knit scarf create a spring look. The golden beads give a classy touch to this fresh scarf. It is made of 69% Acrylic, 31% Polyester fiber. Hand wash gently in cold water (86 F/30 C), lay flat to dry. Do not bleach or iron. May be dry cleaned, solvent P.
Are you a fashion deginer? No, I’m not a fashion designer. Why do you say that?